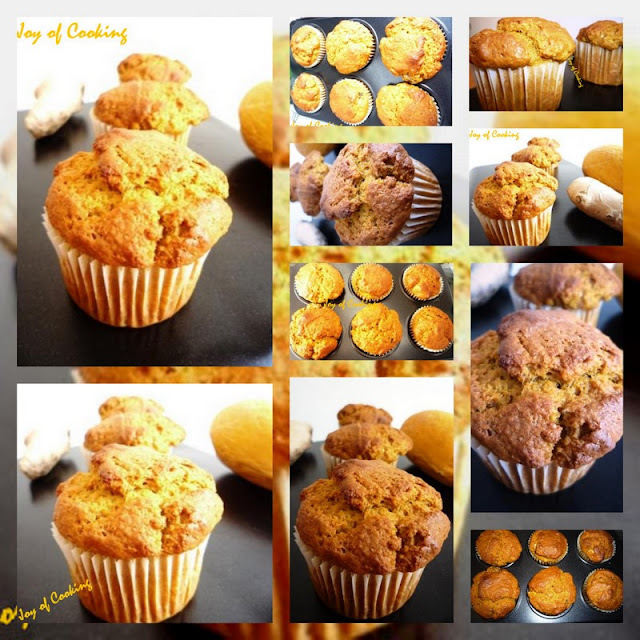 Jagruti's Cooking Odyssey: Eggless Mango-Ginger Muffins-Mango Mania ! Preheat the oven to gas mark 7. Place the liners in the muffin pans. Mix all the dry ingredients in a one bowl and mix well. In another bowl mix all the wet ingredients and gently whisk. Now fold wet mixture into a dry mixture..Mix gently and add milk as needed to form a better of dropping consistency. Yummy looking muffins...feel like grabbing some!! Mango ginger muffin looks delicious. I like as it eggless. Sure Jagurti you can try rasam during cold. Those look so yummy and tempting....Mango n ginger do make a yummy combination! Lovely combo of the mango and ginger. Simply loved the flavorful muffins !! They look splendid! Perfectly baked! LOVE the sound and look of these! perfect is the word for these. love the flavour. Awesome, scrumptious muffins, looks very tempting.. Delicious Muffins!!! With Mango and the taste of ginger, it must be Tasting great!!!! Mango and ginger sounds a yummy treat..nice recipe. Yummy and delicious muffins..nice combo too..
never tried muffins with mango. Looks awsome Jagruti. They look lovely, and have risen so well. Smart move to sue the mango in them. i always have trouble with my eggless attempts at baking falling flat. innovative muffins.. and eggless too.. nice! wow what an awesome combo of ingredients, mango and ginger.Muffins look really delicious.